Roxie is a big personality and a girl we waited 2 years to get home, but she was for sure worth waiting for. She has the sweetest temperament, she is smart and have much energy and moves with ease. 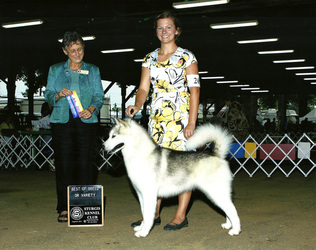 Very strong girl that made a trip to Europe with puppies in her belly and as a mother she showed amazing natural instincts. She has a good workingattitude which she also has proven when she have done 2 longdistance race. 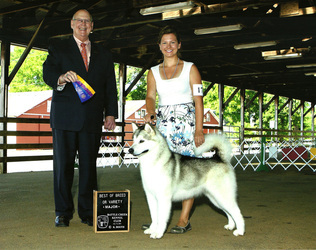 Below pictures while she was in USA and was professional handled by Kate Salvadore. 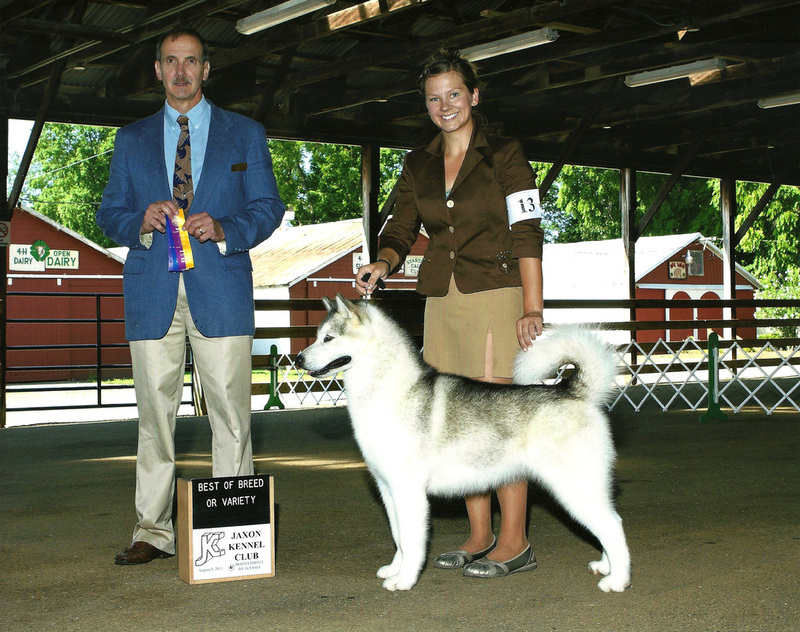 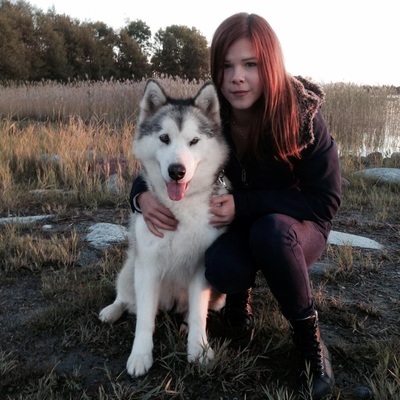 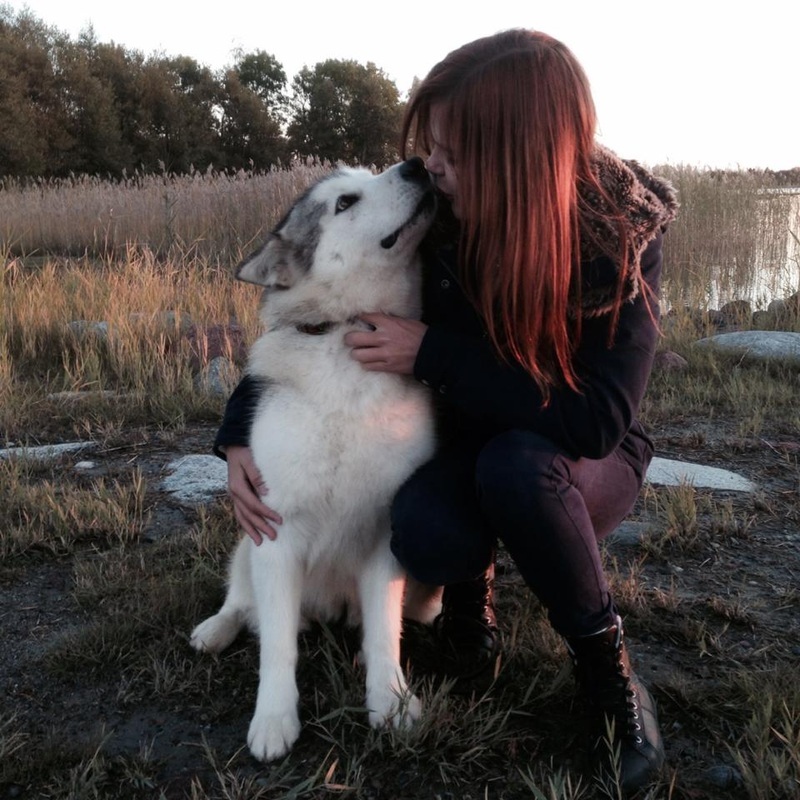 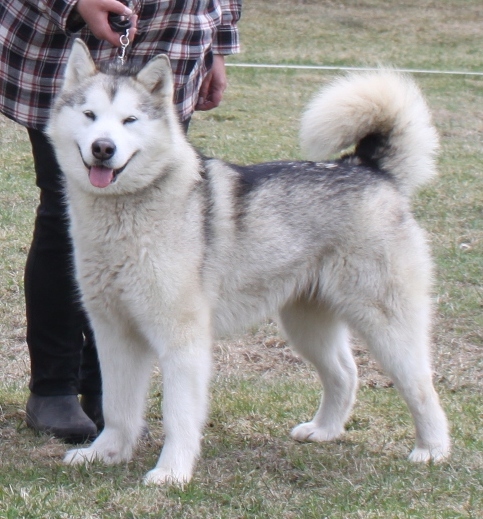 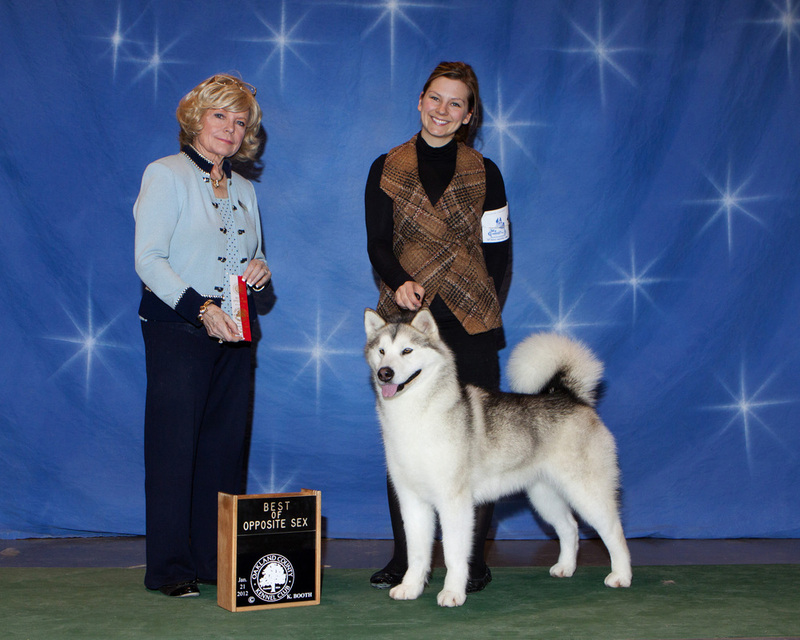 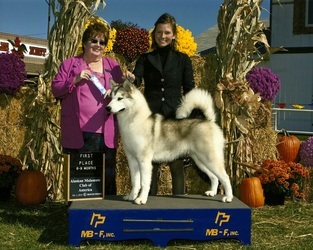 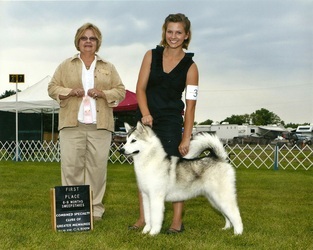 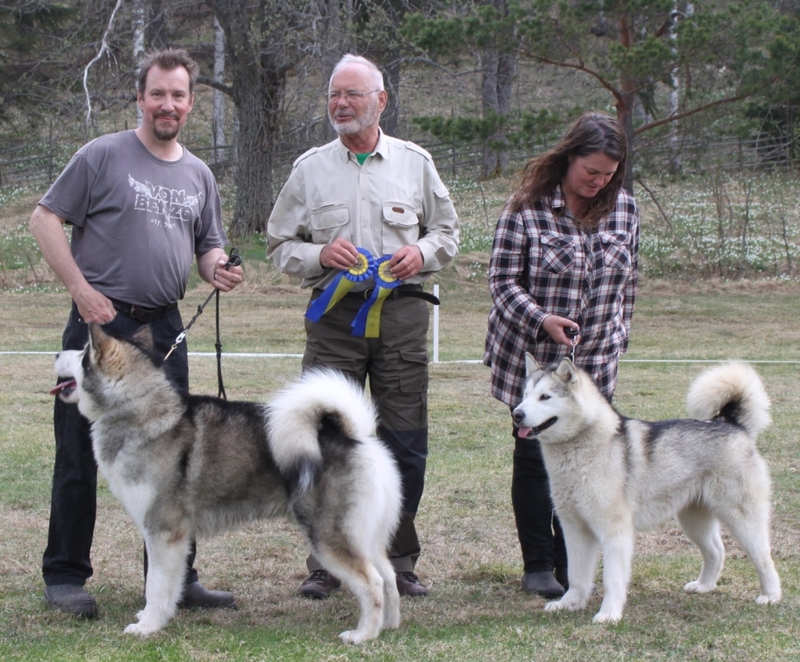 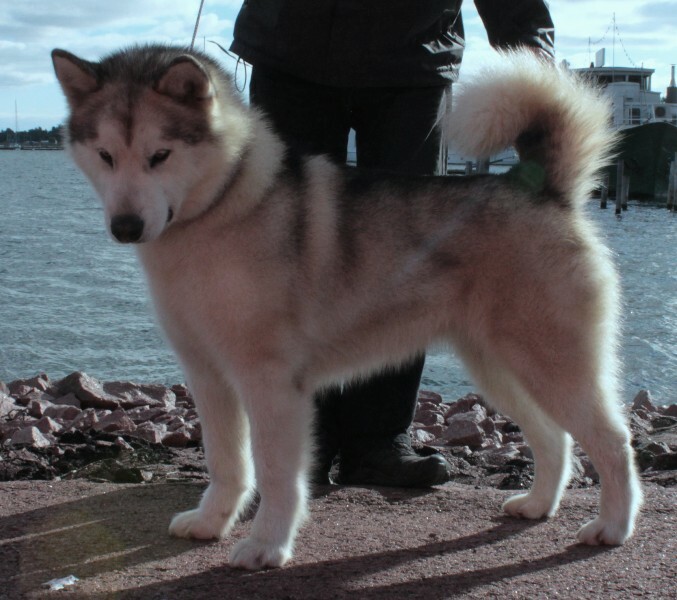 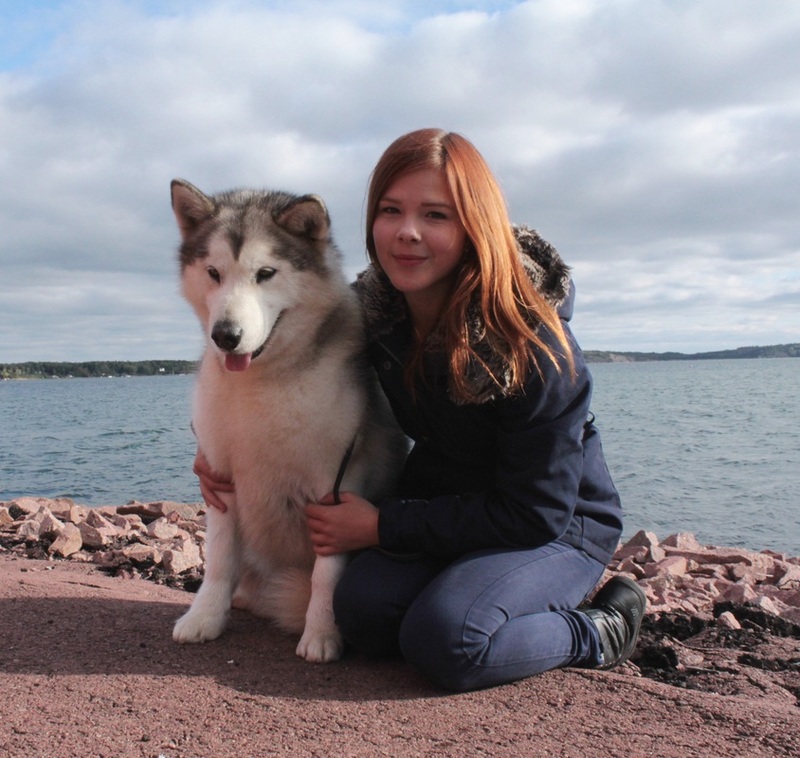 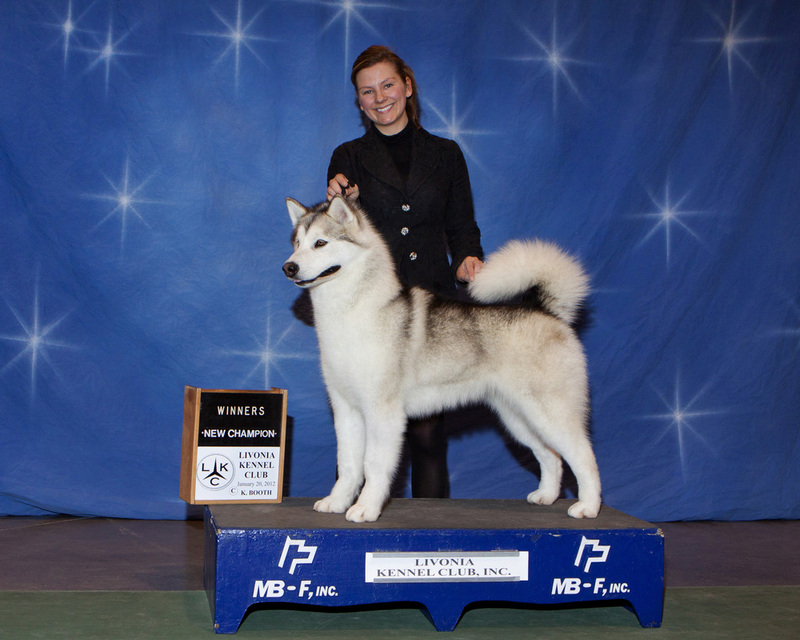 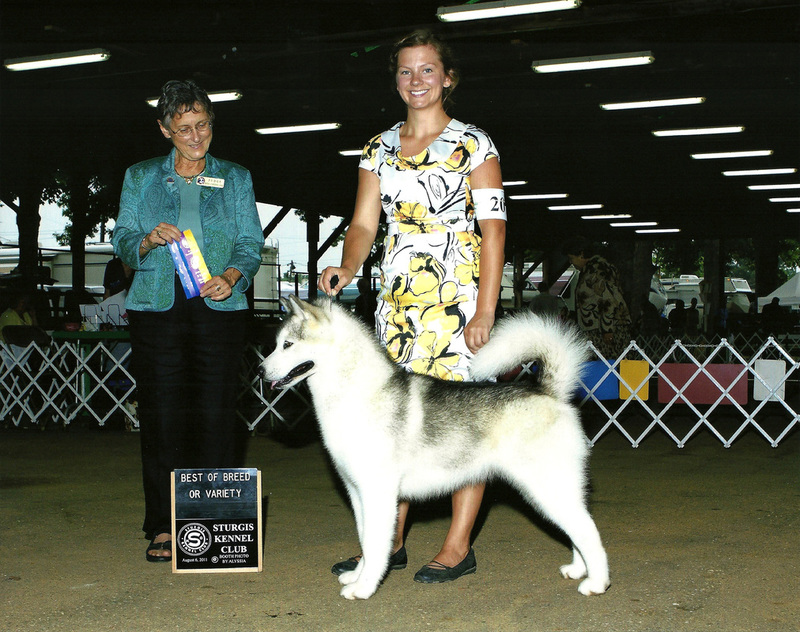 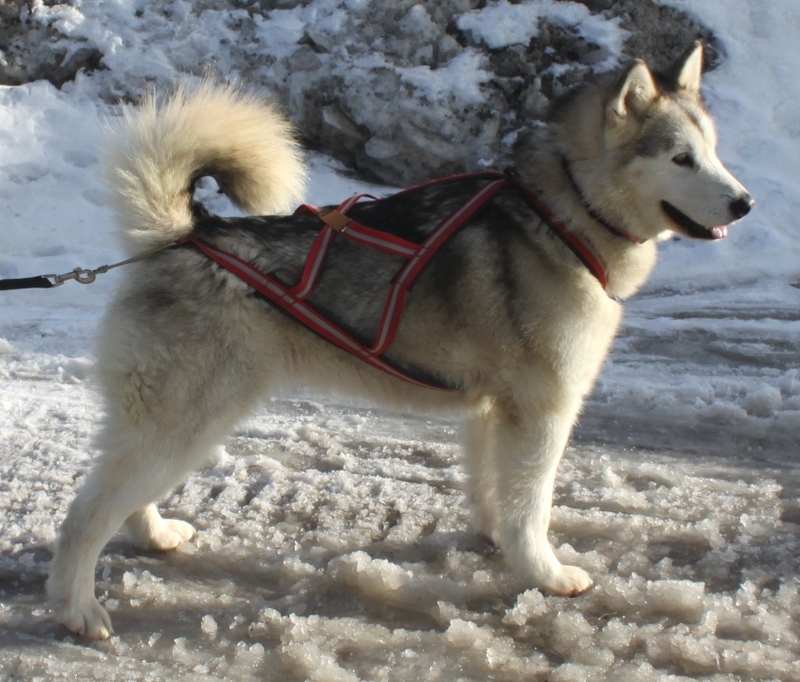 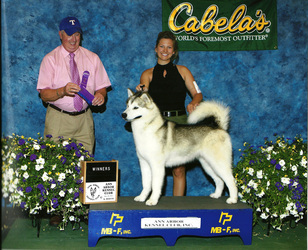 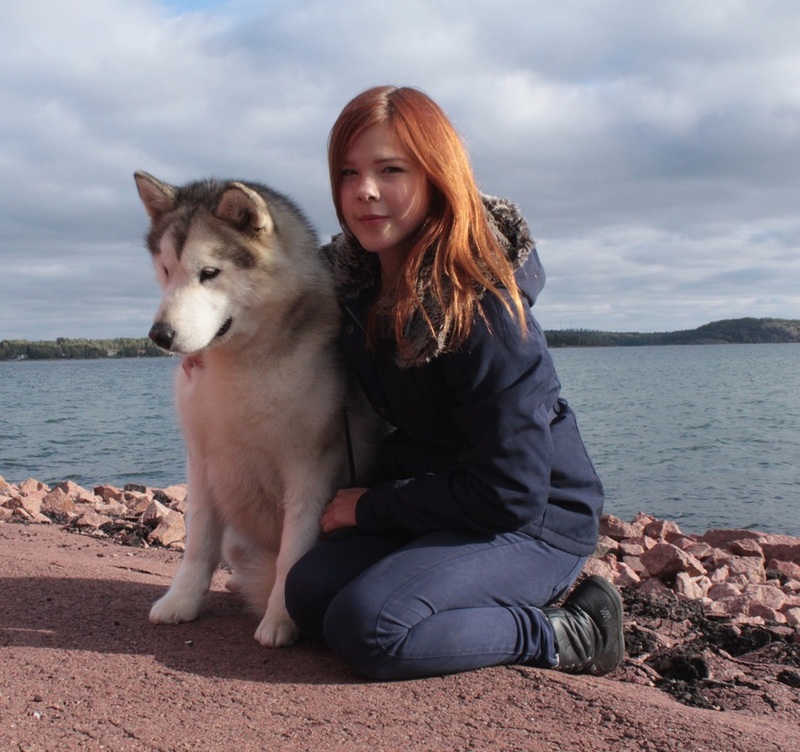 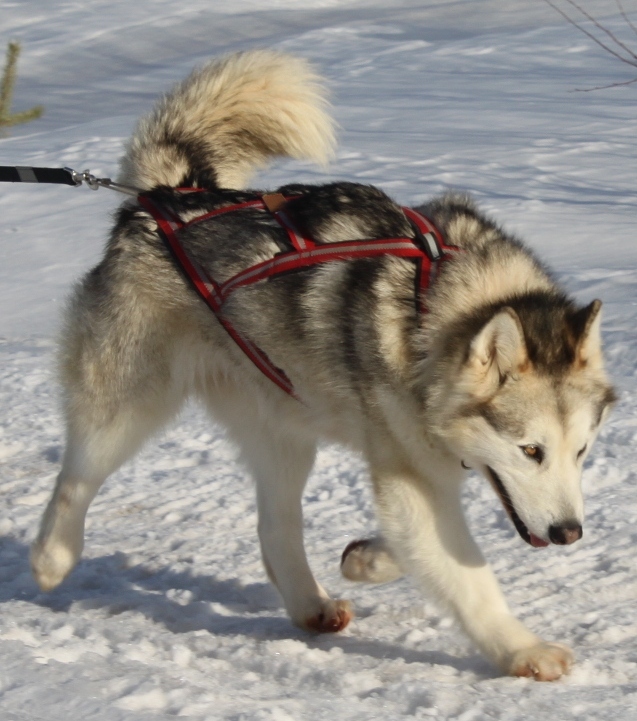 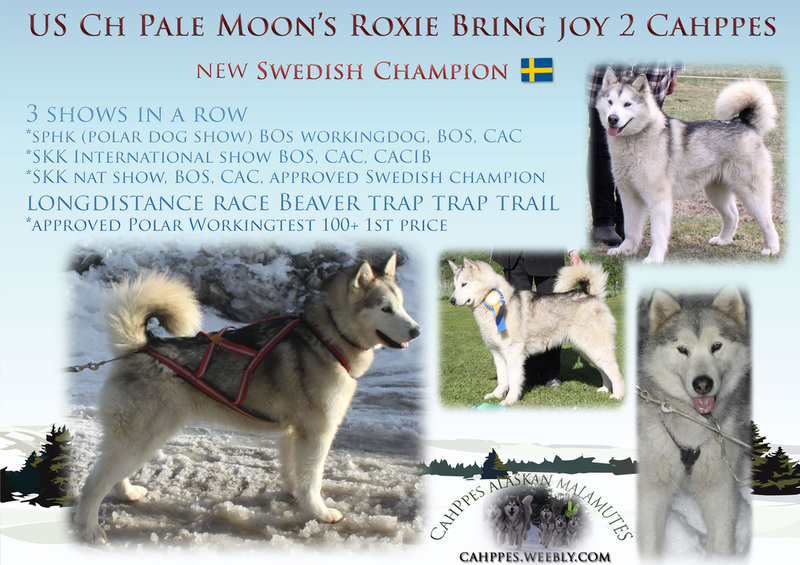 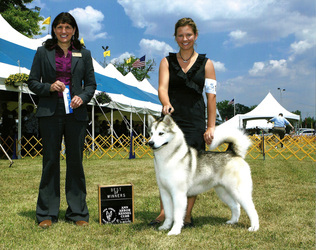 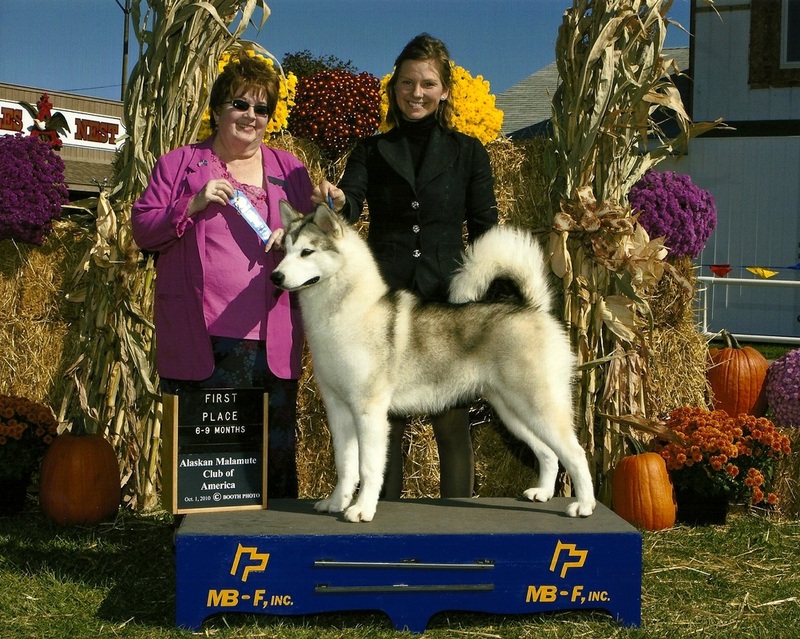 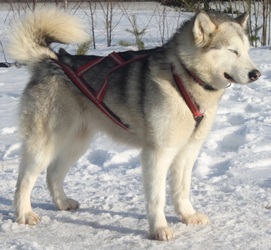 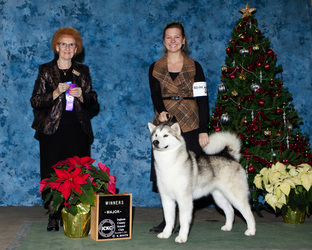 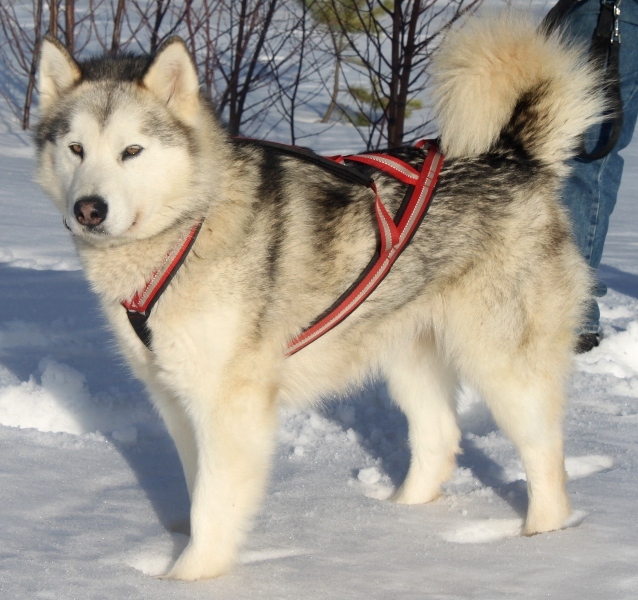 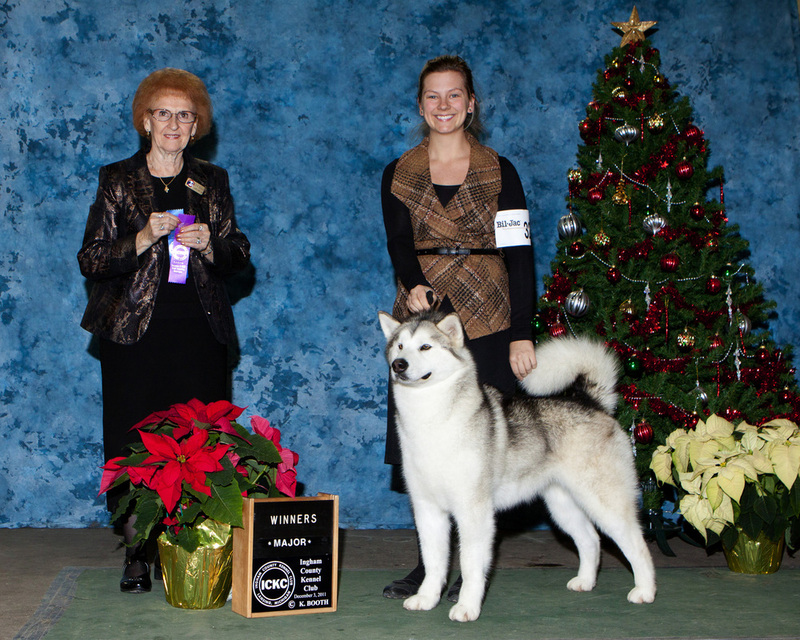 In Sweden she won CAC and best female on SPHK (polardogshow) from workingclass, 40 malamutes entered. Next show FCI International she was also best female with CAC and Cacib. She was best female in Finland.